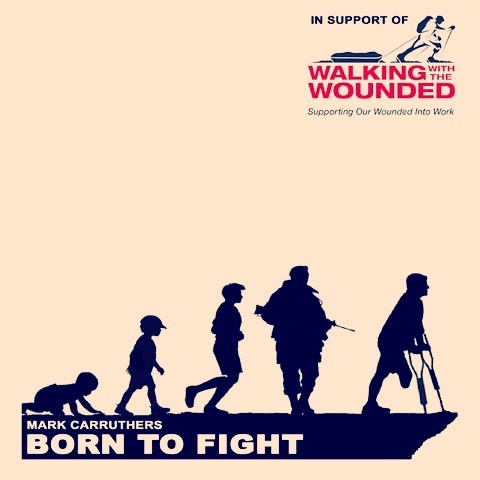 So many generous people have raised money for Walking With The Wounded through an event or by taking on a challenge and in doing so helped improve the lives of our wounded ex-servicemen and women. Do remember to send us photographs – we love to be able to showcase the amazing things our extraordinary fundraisers do to support our wounded. Thank you all for your contributions. On the 29th May this year, Annalise will be taking part in the Tenzing Hillary Everest Marathon. The starting point of this gruelling 26.2 mile race is at an altitude of 5365m above sea level. The race, which runs on 29th May each year to commemorate the first Everest ascent by Tenzing Norgay and Sir Edmund Hillary in 1953, begins at Everest Base Camp at the foot of the Khumbu icefall, and descends through Gorak Shep towards the finish line at Namche Bazar (3,540m). Read more about her upcoming endeavour by clicking HERE. Having served for a few years it gives me great pleasure to have an opportunity to help those men and women who require the support offered by WWTW. 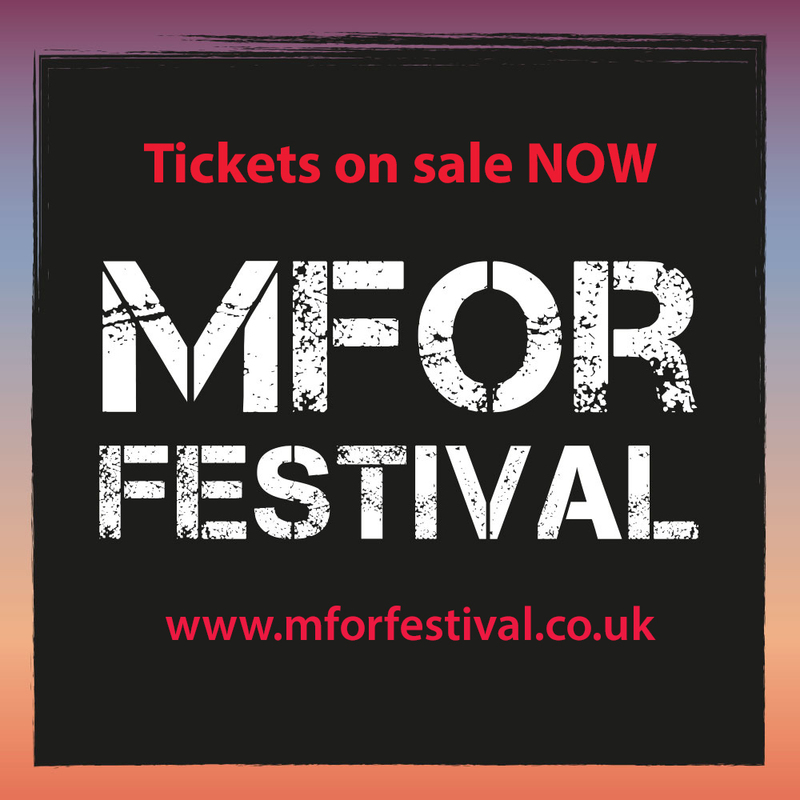 Rachel is taking part in the Mongol 100 race in March 2019. 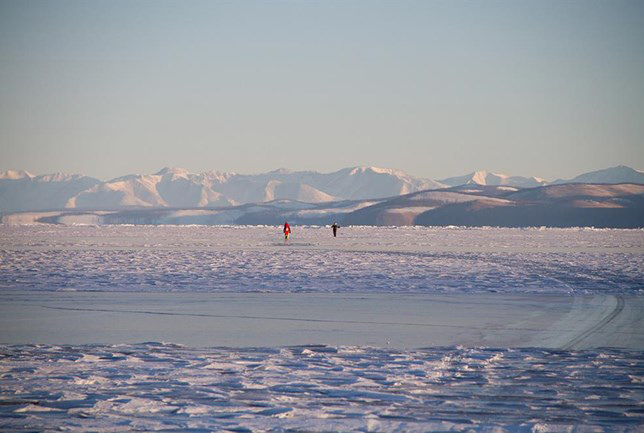 The race is run on Lake Khovsgol and the race objective is to traverse the entirety of the lake from north to south, by any means: Foot, skate or bike. 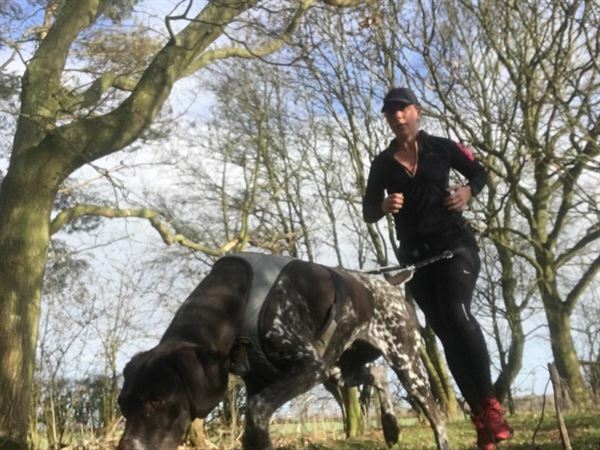 A full time working parent of 3 lively boys, she wanted to motivate herself to do something extraordinary and will be attempting the race on foot. Having served in the British Army for 19 years, a charity for veterans was one of her initial thoughts. Finding out more about what Walking with the wounded do she felt that the cause: supporting a pathway for vulnerable veterans to re-integrate back into society and sustain their independence was perfect. "Over a decade of his life, Jake mounted three expeditions to 'The Savage Mountain' - and finally reached the summit on the 21st July 2018, fulfilling a long held ambition. Jake's inspirational story is one of perseverance, tenacity and bouncing back from failure time and time again, despite the time, effort, cost and sacrifices made along the way." 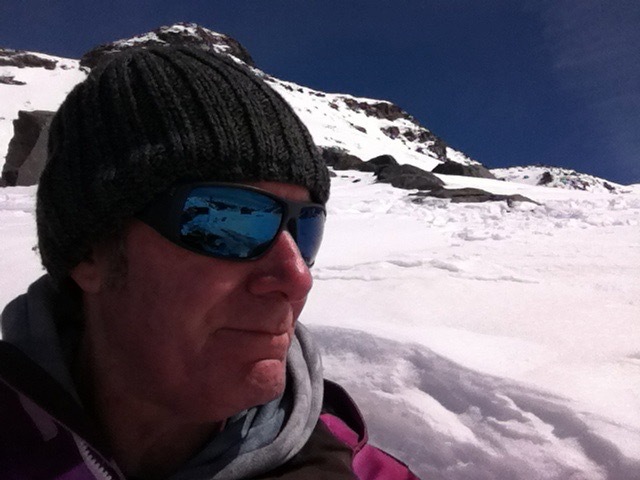 Please join us at the The Royal Geographical Society on 28th February 2019 for a talk by long standing WWTW supporter and adventurer, Jake Meyer. Click here to find out more and purchase tickets for the evening. Schools publisher Gresham Books are publishing a brand new anthology of poems and reflections from the First World War to bring home the horrors of the ‘war to end all wars’. Featuring the best known poets as well as the voices of the ordinary soldier, the conscientious objector, the frightened, shell-shocked and bereaved, NEVER AGAIN will help today’s generations identify with and connect to the brave men and women who sacrificed so much 100 years ago. 5% of proceeds will go to support the work of Walking With The Wounded. Click here to purchase your very own copy of Never Again. 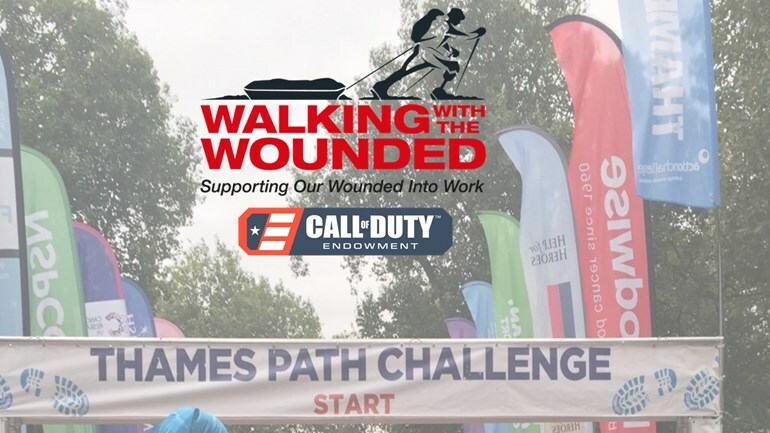 Over 30 employees from Activision's UK 'Ditton Park' office will be participating in the ThamesPath Challenge on September 8th, covering a variety of distances from 10, 25, 50 and 100km. Their goal is to raise awareness and generate donations for Walking With The Wounded as part of one of the Endowment's charitable trustees. Please click here to support them. Team CarDashians (Rosanna, Anna, Miles and David) will be driving from the UK to Ulan Ude, Siberia, this July. 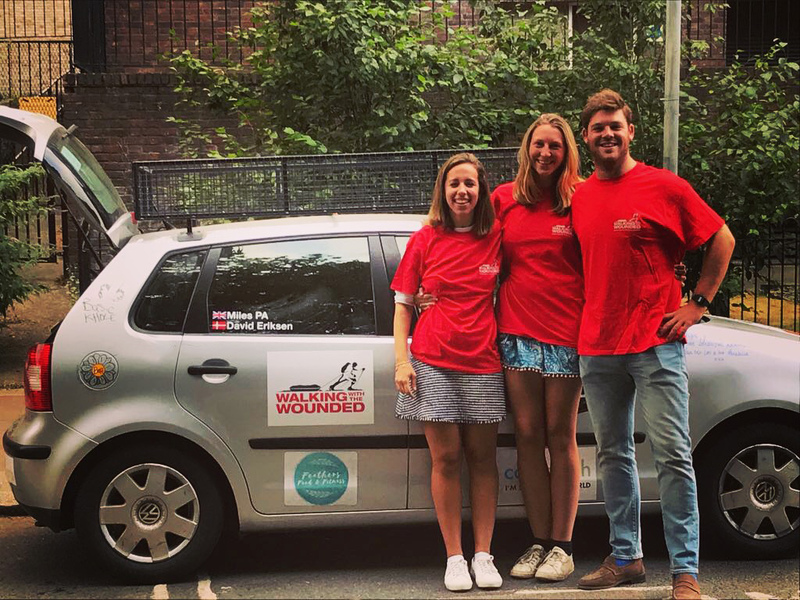 Their journey should take approximately 7 weeks and they will be covering the distance of around 10,000 miles in their VW car that has a 1.2 litre engine. Their planned route is to go through Iran and up through the Stans (picking up Anna en-route in Uzbekistan). They'll be driving almost everyday to ensure that they reach the finishing line in Ulan Ude, just north of Mongolia. Who knows what challenges they could face. whilst striving to support our wounded veterans.. Please help the Car-Dashians reach their £3000 target here. You can also follow their journey on Instagram or via their website. 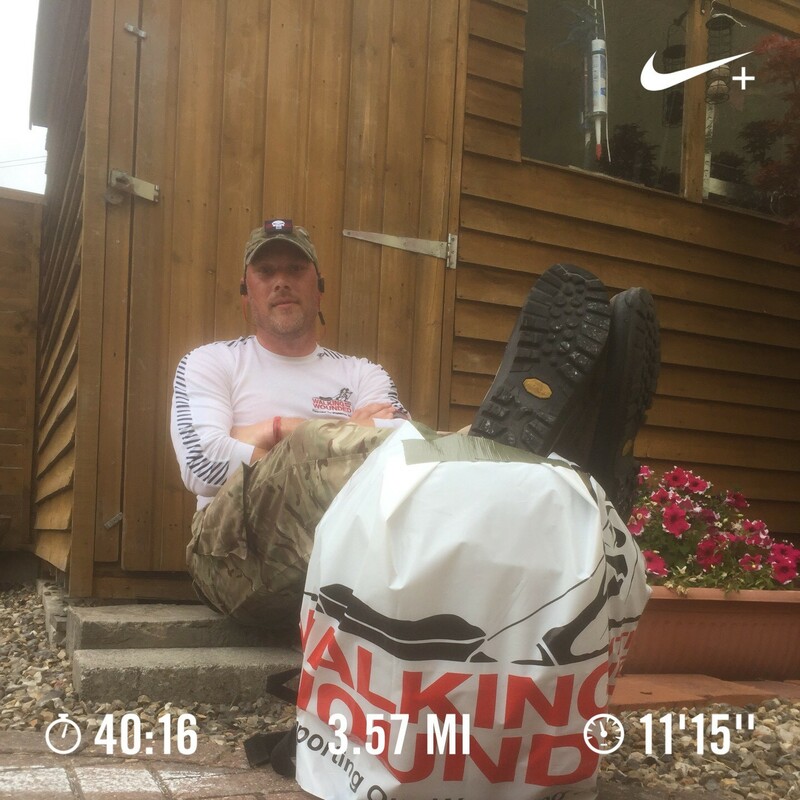 Baz Wall has successfully completed his 'tabathon' - 16x 3.5 mile walks carrying 44lbs of weight! "I want to support John Mayhead in his journey as he is my old Company Commander from my Coldstream days. My motivation was lacking and when I read John’s story I wanted to support him. I hoped that by showing John I was out there it would let him know that we were thinking of him. I have been doing it since John started the walk of America and have decided that in July I would like to raise as much as I can." 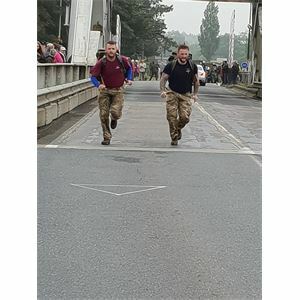 You can still donate to the cause through his Facebook page or on Walking With The Wounded’s website referencing donations as John’s Journey. 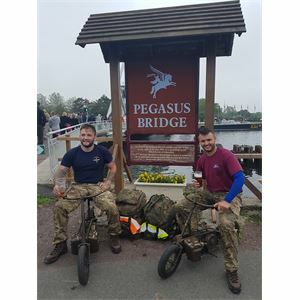 Kyle and Luke raised vital funds for Walking With The Wounded by walking 286 miles from Ipswich in Suffolk to Pegasus Bridge in France. They also carried55lb bergens. (You may remember Kyle from when he ran from Warrington to Ipswich in just 5 days last year!) Find out more and support Kyle on his Just Giving page. BBC introducing. "Love Mark's sound! Definitely reminiscent of a young Paul McCartney."